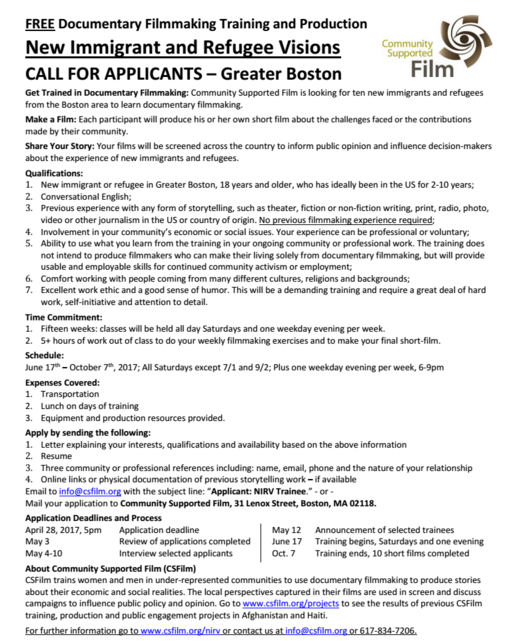 Call for applicants – deadline tomorrow (April 28th, 2017 at 5pm! 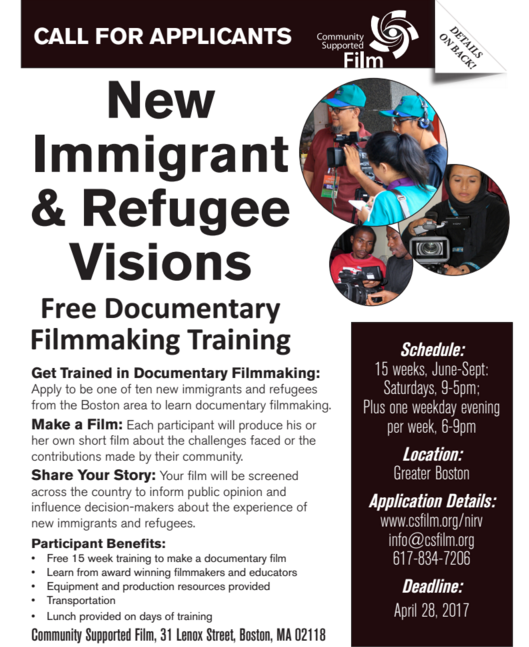 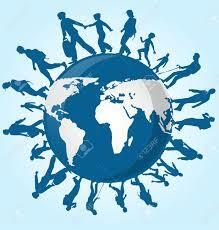 In the greater Boston area, an opportunity for new immigrants and refugees to participate in a documentary film project. 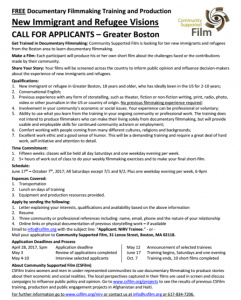 No experience necessary – please share with those in your community!